The Isle of Wight is bursting with castles, royal residences, ancient churches, windmills, piers, dinosaur bones and modern day sites such as the 1970 Isle of Wight pop festival site. Here's our guide to 25 historic days out on the Isle of Wight. 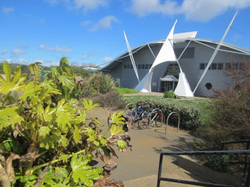 Dinosaur Isle opened in 2001 as Britain’s first purpose built dinosaur museum. It’s got a range of fossils, some of which are thought to be about 126 million years ago (don’t ask me to explain why it is 126 as opposed to 125). See our guide on getting discounts to Isle of Wight attractions, which includes Dinosaur Isle. My father used to prod at various things on the Island’s beaches during stormy weather in the hope that a six foot T-Rex leg would suddenly emerge and make him famous. Don’t get me wrong, he wasn’t an expert – he just had a walking stick and wanted to try his luck. Needless to say, you need to have an eye for these things, particularly as the priceless fossils you see in museums do occasionally just look like small stones. One option then is to go on an organised Fossil Hunting expedition. Dinosaur Isle lead a number of these walks, as do Dinosaur Expeditions. The National Trust look after these two pieces of greensand sandstone (nearest postcode PO30 4EA), which are neolithic and are thought to mark the entrance of a 6000 year old burial ground. Legend has it (according to the National Trust) that ‘St Catherine and the Devil had a contest to see who should control the Isle of Wight. The Long Stone’s tall iron sandstone pillar was supposedly thrown by St Catherine from the Down to the east which bears her name.’ It’s nearly four metres tall so she must have been a big girl. Nowadays the Isle of Wight runs a standard parliamentary system for deciding power thankfully. The Longstone has had a rough time – experts think it was moved in Saxon times and in the 19th century some genius decided to dislodge it to have a gawp underneath (he found nothing). More recently, someone drew a cross on it and there are stories online about rituals, dances and sacrifices. Brading Roman Villa (PO36 0EN) is much bigger than Newport’s offering (PO30 1HA), which is crammed in between a couple of houses just round the corner from Marks & Spencer (that's probably not how they describe it in the official brochure). Brading’s is from the first and second century and has a flash visitor centre and fancy mosaics and at the time of writing costs about £9.50 to get in (see our guide to discounts to Isle of Wight attractions). It was discovered in the 19th century by a farmer who was digging to make holes for a sheep pen. Thankfully he stopped digging. Newport’s villa dates from around 280 AD and costs about £3. Read Trip Advisor reviews for Brading Roman Villa and Newport Roman Villa. The modern day Quarr Abbey (near the Fishbourne ferry port) dates from the early 20th century and is a good free day out, but the original Abbey's history dates back to the 12th century. The modern Abbey is a working Benedictine monastery which welcomes visitors and even offers free tours on certain days (see the Quarr Abbey website). The ruins of the original monastery are a short walk away. It was dismantled under the orders of Henry VIII about 400 years after it was founded. On the South Wight coast is the pretty Old St Boniface Church, parts of which date back to the 11th century. There are services held here on summer evenings (as of 2014), or you can just pop in for a visit most days. There are glowing reviews and photos on Trip Advisor. According to my in depth research (i.e. two minutes on Google), Charles I was brought to the church from his holiday home at Carisbrooke Castle (technically a prison, but it really is a lovely castle) to attend a funeral. The Victorian era poet Algernon Swinburne was baptised at the church, whilst the leader of a French invasion in 1545 is buried in an unmarked grave in the churchyard. This video gives a brief tour (not my work). I'm a very childish person so I always think that ‘St Catherine’s Oratory’ sounds a bit rude. I prefer its nickname of the Pepperpot. A local Lord was told to build this lighthouse as penance for helping himself to shipwrecked communion wine in 1313AD. It’s about 12 metres high and is a nice stop on a walk around the south coast. The more modern lighthouse – St Catherine’s – is also worth a visit. Locating the Pepperpot is a bit of a challenge. It's a little way north east of Blackgang Chine. When we've visited it we've parked at the viewpoint car park on Blackgang Road (nearest postcode PO38 2HN) and walked from there. It's about 1/2 a mile up a steep hill. Mottistone Manor (PO30 4EA), towards the Isle of Wight's south west coast, dates from around the 15th and 16th century but has been tinkered with and remodelled more recently. The house itself is generally closed to the public but the gardens are a National Trust site (click here for membership details to get in for free). Be warned though, you will leave feeling that your own garden is a complete mess compared to this one. It has a child-friendly game where you search for flowerpot men throughout the grounds. Read Trip Advisor reviews for Mottistone Manor Gardens. It's also where Benedict Cumberbatch and Sophie Hunter had their wedding reception in 2015 (a useful fact to impress younger members of your party). One of the busiest historic attractions on the Isle of Wight is Carisbrooke Castle (PO30 1XY). It was less popular with King Charles I, who was held captive there and didn’t fancy hanging around. It has terrific views across Carisbrooke from the 'keep' (you can see my mum's house, so give her a wave please) and you can even watch a donkey pull a bucket up from a well. There are often special family friendly events, such as jousting on the bowling green – charge! You can get in free with English Heritage membership. See our guide to discounts for Isle of Wight attractions for more deals. Read Trip Advisor reviews for Carisbrooke Castle. There’s a smaller castle in the tiny West Wight town of Yarmouth (PO41 0PB), which was built by Henry VIII (well, not him personally) in the 16th century to protect the coastline. You won’t need as long to look round as you would with Carisbrooke Castle, but it does have nice views over the Solent. If you've come to the Isle of Wight to tour its extensive collection of windmills I'm afraid you're in for a crushing disappointment. The Island only has one windmill left, although this one is a corker. 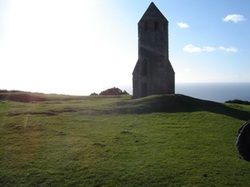 It dates from around 1700 and offers tours which allow you to climb up to the top. One of its claims to fame is that it was painted by Turner (as was Carisbrooke Castle - his picture is on display in the Castle's museum). 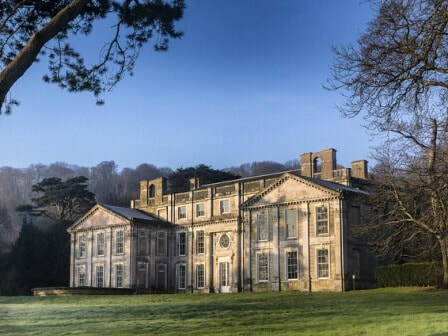 It's worth checking opening times and you might consider National Trust Membership instead of paying the entry fee. Newtown Old Town Hall (PO30 4PA) is the 17th century Town Hall that isn't in a town. In fact, there's not a lot around it at all apart from some nice scenery (and I'm told you can see the outlines of the medieval town in the fields). Despite that, Newtown had two MPs at one stage, including one who become Prime Minister (George Canning). It's not open all year round, so do check before you travel. It's a National Trust property, so you might consider membership if you are visiting a few of them on the Isle of Wight). Queen Victoria spent the last forty years of her life here, so the least you can do is turn up for a couple of hours. She even allows you to wander into her bedroom. Recently, her majesty’s beach – Osborne Bay – was opened up to the public. It’s a gorgeous setting for an ice cream, although you can only access it by paying to look round the house. Meanwhile, St Mildred's Church in Whippingham has a 'Royal Pew' which Queen Vic parked her bottom in. The church also has a number of memorials to the Victorian royals, and is free to visit. 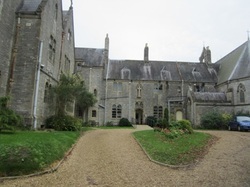 This former nunnery (PO30 1YS) is now a Christian House of Prayer and Healing which is open to the public for cream teas and general wandering around (contact them to check times as it's largely run by volunteers). It's a fascinating old building with an attractive garden, courtyard and chapel and has lots of signs of its former life. It's also very near Carisbrooke Castle, so you may want to combine the two visits. The Victorians were clearly keen on defending the Isle of Wight from invasion, and probably didn't imagine that one day their battery near Yarmouth would be turned into a country park. Nor did they expect it to become home to a planetarium and model railway. The larger barracks were demolished in the 1960s but there's still plenty of the original building to see. According to the National Piers Society the Isle of Wight has had 11 piers in its history. Nowadays, there are surviving piers in Yarmouth (originally built in the 1870s), Sandown (1870s), Ryde (1810s) and Totland Bay (1880). Totland Pier hasn’t been publicly accessible for some time. Yarmouth is nice for a wander along and is used for docking pleasure cruises during the summer. Sandown Pier used to house a theatre but is now used as a bowling alley, adventure minigolf and other attractions. Ryde Pierhead is the ferry port for the catamaran, but it's a very nice summertime stroll and it is the oldest pier in the UK (and the second longest). 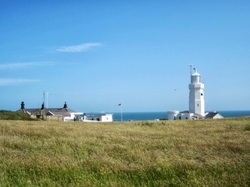 St Catherine's Lighthouse (PO38 2NE) is well worth a visit, unless you can’t manage steep steps. The very reasonably priced tour takes you right up into the top of the lighthouse where you learn about its first lighting in 1840 through to how it operates today. It also has some cottages which are rented out, which are featured in our guide to quirky places to stay on the Isle of Wight. 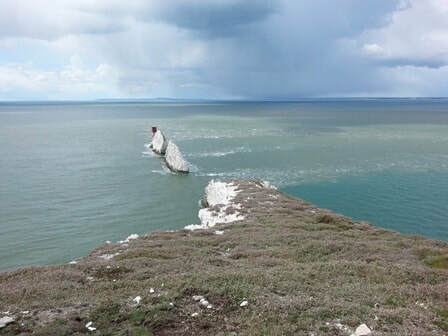 The Needles Lighthouse is one of the Isle of Wight's most famous landmarks and has been visited by every school pupil and Countryfile presenter since 1859, when Victorian pyromaniacs created a nice flat platform with a great big heap of dynamite. It was finally automated in 1993, which is around the same time that Meatloaf was number 1 and the Isle of Wight got its first escalator. What a time to be alive eh? If you fancy a closer look there is a boat ride which leaves from Alum Bay (about £5, or a bit more for the speed boat which would make me sick). See our guide to discounts to Isle of Wight attractions for more details on the Alum Bay Pleasure Park. Meanwhile,the Needles Old Battery is a National Trust site which sits in an odd position only a short (and steep) walk from the Needles Park with its glass blowing, teacup ride and 4D cinema. The Old Battery is a Victorian fort that was used throughout both World Wars. Much of the attraction is underground, so it's not one for claustrophobes. You might consider National Trust Membership instead of paying the entry fee. Finally, the Needles Pleasure Park has a plaque dedicated to Guglieimo Marconi to mark the location of his pioneering telecommunications work in the late 19th century (you probably wouldn't be reading this right now without him). There's a plaque celebrating his achievements which is bizarrely located alongside a small funfair. He also did a lot of work from Knowles Farm, which is featured in our 20 quirky places to stay on the Isle of Wight. 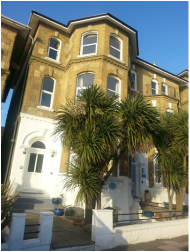 The composer Edward Elgar spent his honeymoon in Bermuda House in Ventnor in 1889. It is now a five bedroom self catering property which sleeps up to 10 people, and it is featured in our 20 quirky places to stay on the Isle of Wight. Sir Edward supposedly wrote to a friend that "We are liking this place very much and have nice rooms overlooking the sea". Nowadays of course he would write his review on Trip Advisor and say that it was 'mega lush, lol' but that wasn't an option at the time. Numerous noted writers have spent time on the Isle of Wight. There generally isn't much to see, but they are worth a quick mention as you might be passing a property and can start to recite 'Endymion' by Keats for about five seconds before the children tell you to stop being so embarassing. A big chunk of David Copperfield was written by Charles Dickens whilst he stayed at Winterbourne Country House (PO38 1RQ). It used to be a bed and breakfast but at the time of writing isn't open to the public (it was up for sale for £1.35 million a couple of years ago). The poet Alfred Lord Tennyson lived at Farringford for about 40 years. It was a hotel for a while before being restored and opening for public visits in 2017. At the time of writing (2018), it is open for four days a week and booking in advance is advised. ​You can also stay at Farringford and you can visit Tennyson Down and Tennyson Monument in the West Wight, near Freshwater Bay for some fantastic views. Around 1817 - 1819, John Keats spent time at a property on Castle Road, Carisbrooke (there doesn't seem to be a definite answer as to which property it was) and at Eglantine Cottage which is now (apparently) Keats Cottage B&B. More recently, poet Alfred Noyes lived at Lisle Combe in the 1920s. The house is still in the same family and is a B&B. JB Priestley lived at Brook Hill House in the 1950s. The house is private but it is very visible on the top of the hill as you drive through Brook (near the Military Road, South West Wight). 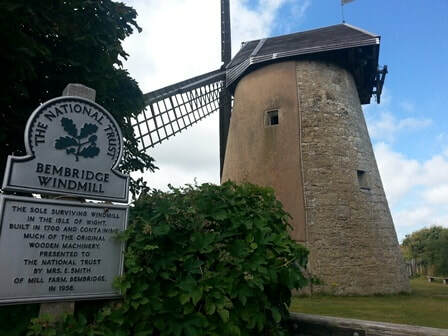 Algernon Swinburne spent much time around Bonchurch and at Northcourt (featured in our guide to 20 quirky places to stay on the Isle of Wight). Finally, multiple Oscar winning playwright and director Anthony Minghella (English Patient, Talented Mr Ripley, Cold Mountain) grew up on the Isle of Wight. The family Ice Cream factory used to be in Wootton Bridge but it's now at in Newport. Dimbola Lodge in Freshwater Bay was the home of Julia Margaret Cameron, who was a Victorian photographer who pretty much invented the close up portrait photo. Before then, most photo portraits involved gentlemen standing in a stiff position next to a fireplace with their foot resting on a dead animal. You've probably seen her photo of Darwin on the back of the old £10 note. ​Dimbola is now a museum with galleries and tea rooms. The nearby beach at Freshwater Bay is lovely on a sunny day, so allow a few minutes for a wander. Curiously, the Isle of Wight was at the centre of Britain's short lived space programme in the 1950s and the 1960s with the Needles Old Battery (see above) being converted into a testing site for the Black Knight. At one stage 240 people worked at the mostly underground site with 60 foot rockets being assembled in workshops. The actual launches took place in Australia. There's an exhibition about it at the Needles Old Battery and an interesting article about rocket testing on Red Funnel's website. Nowadays, the Isle of Wight Festival is held at Seaclose Park in Newport but the original festivals in 1968, 1969 and 1970 moved about a fair bit (see our guide to the history of the Isle of Wight Festival for lineups and details). The 1968 Isle of Wight Festival was held on land near Ford Farm (PO38 2NZ), which is now a Bed and Breakfast and is featured in our guide to 20 quirky places to stay on the Isle of Wight. The 1969 Festival was held on land overlooking Woodside Bay at Wootton Bridge, which looks to be accessible on foot (I've not done this walk myself so please don't blame me if it's not...). The arena itself was about 150 metres from the shoreline. The 1970 Isle of Wight Festival was held at East Afton Farm in the West Wight, just off the Middle Road (B3399). The Isle of Wight’s only thatched church - St Agnes (PO40 9QD) - is actually relatively modern, having been built in 1908 on land donated by Lord Tennyson’s son. I seem to remember its thatched roof gave it a very high score on the I-Spy Churches book that we had in the 1980s. There are more photos and opinions on Trip Advisor. There are various signs of the Isle of Wight's wartime role but one of the most accessible is the Culver Down Battery and Bembridge Fort (nearest postcode PO36 8QY). The Battery has the footings for two guns. The battery was constructed in the early 20th century and stayed in place until the mid 1950s. The National Trust is in the process of restoring Bembridge Fort. They offer occasional tours, but you have to book in advance. The Isle of Wight's railway network was shrunk significantly in the 1950s/1960s with many of the former lines now cycle tracks. There is a modern(ish) railway line which runs former London Underground carriages from Ryde Pierhead to Shanklin (see our guide to public transport) but there is also a steam railway which it links up with, which first took shape in the early 1970s. It is based at Havenstreet (PO33 4DS) and holds various special events, such as Victorian themed days. There are various deals available (see our guide to discounts to Isle of Wight attractions).